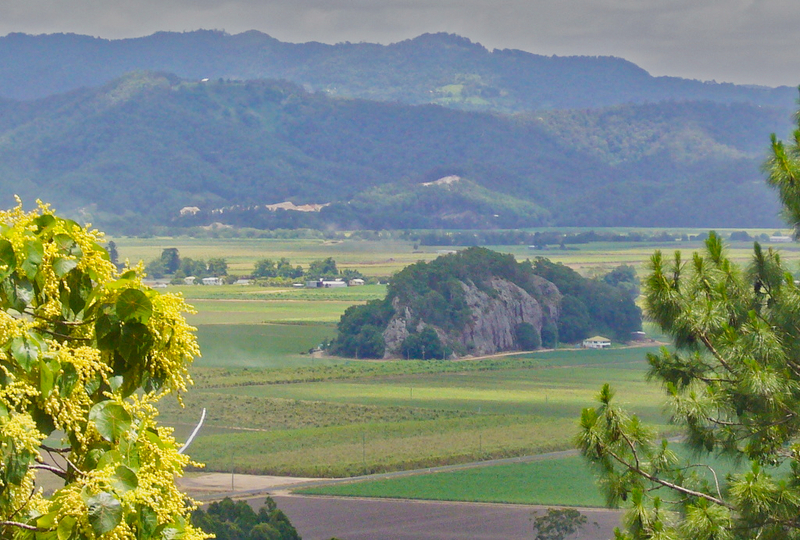 Nunderi is east of Murwillumbah. There is a series of roads that run along the ridges which are fun to ride and have nice views over the cane fields and off to the border ranges than to the ocean further north. You can actually ride from Mooball all the way to Tumbulgum on back roads that criss cross above the highway, take a look at my map to see how. I have removed the original post as it was too old, please see the map for location of this road. Thought I’d just say thanks for your site – my wife and I use it to plan many of our weekends. Thanks very much Mike for that info and your comments. I think I might try surprise my ride partner next time with it. He’s from Alstonville so my new found local knowledge may surprise him. Actually I believe I have a family connection to the area some way back on my mother’s side. I see the surname Murnane about the area in places, even rode over a bridge called same. I’m also from the CBD and agree with you about the northern NSW roads. They are fantastic. Thanks to this blog there are a few more than I thought. Was out myself on Sunday but kept close to home by doing the MtG and Fernvale circuit (yeah, I know, I know). Anyway it appears most of the showers were in your part of the world that day. If only one could “transport” oneself and his bike from Brissie to the coast to avoid the horrendous M1. I have gotten used the the M1 section now to a certain degree. I always ride from the City to Mudgeeraba (or return) non stop and get it over and done in one go. AM in cool air seems to go easier than return. I always ensure I have enough fuel in bike to not have to stop in route in the morning and avoid the overly popular BP at Yatala. Meeting there wastes alot of time and makes the trip to the south go from 50 mins at speed limit to 1hr 30min. Then you (or someone in your group) may still stop at the Gold Coast servos again anyway thus the ride seems to take ages to hit the hills. Ride direct to the Robina exit and then one stop for fuel and rest and meet and then within minutes up on Springbrook or heading into Currumbin valley. On way back I seem to get a bit tired coming home from either direction, each one I have a point that seems to trigger it. When I get to about Dayboro from the north, Springwood from the south or Browns Plains if from Beaudesert. However end of a good days riding it is only natural. M1?? No need to go near it if you don’t want. Beaudesert Rd/Mt Lindsay Hwy down to Jimboomba, across to Canungra and all the way down the beautiful Numinbah to the border. Might take a bit longer, but much more enjoyable. Thats a good point Beaker. However couple of other options might include turning off at Beenleigh and riding via Cedar Crk over Tamborine down via Clagiraba and your at back of Nerang or via Logan Village as this road is resurfaced with nice new sweepers now. My road is forever new.